Hi! I'm a Clara cosplayer in North Carolina. I have been a fan since the show re started, but liked the show a lot when they played re-runs on PBS as a child. My Doctor is David Tennant, but my first Doctor was John Pertwee. I cosplay as Clara because I really can identify with her personality, and I think there is a lot more to her character than a lot of people give her credit for. 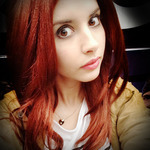 My goal as a cosplayer is to be an unoffical look-a-like like Matt Elliot, as I think I pull off the Jenna look well. I hope to have some professional shots taken of me in cosplay soon and start a portfolio. Hmmm hi! My name's Neda Marie, I'm 20, and I'm Bulgarian. When I'm not online crying over wig prices, I study Musical Theatre in England. I've been a fan of Doctor Who for about a year, officially, though my friends have been trying to drag me into the fandom for much longer. My first doctor was Nine, and My doctor is definitely Ten. I don't even remember HOW I got into cosplaying, but basically back in April, a roadtrip to a city in Bulgaria where there are a lot of Roman ruins turned into a cosplay trip and I've been hooked ever since. I'm an Amy Pond cosplayer, for now, though I constantly find myself planning outfits for other characters as well. I would absolutely love to work on my skills as a cosplayer and be "popular" for that but as I'm standing PROUDLY at 5'1 I could never, ever pass as a Karen Gillan lookalike. Ha! I have a half-complete (and somewhat abandoned) Idiot Lantern!Rose Tyler, and a generic Gwen Cooper outfit that I probably won't get around to finishing any time soon. Hiya! My name's Ryan Rosenblum. I'm based in California, I'm seventeen (18 in a week, though! ), and I watch a ton of television. I love Doctor Who, and if I had to pick my favorite Doctor, I would pick Nine because he's a badass. I do, however, have major soft spots for Four, Ten, and Eleven. My most recently completed cosplay is my Tenth Doctor. I've got the Baron Boutique brown suit, as well as an assortment of the fantastic Magnoli replica ties, topped off with the Cosplaysky overcoat. Besides that, I've got a Series 5 Eleventh Doctor completed. 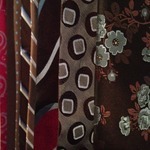 As for "in progress", I'm still collecting all of the Ten ties I can find, so I'd include that. My wallet shudders to think of the day that I decide to do the blue suit as well! Hi, I'm Natalie! Nearly 17. Sydney-sider! So, I'm pretty new to this whole cosplay thing... I made my debut at Sydney's Supanova pop culture convention in June this year as the raggedy doctor (eleven). Apple and all! I'm pretty new to cosplay because I'm pretty new to being a geek... I grew up as a child of the Harry Potter generation, but that was it. No Star Wars, no Lord of the Rings. Nothing! A bit over a year ago, I stumbled across Sherlock, and one does not simply love Sherlock without discovering Doctor Who! So, I made the venture into watching Doctor Who. SINGLE BEST DESCISION OF MY LIFE! Since then, I’ve had the chance to meet a few Doctor Who/spin off related actors! I was lucky enough to go to the Sydney Opera House for the Doctor Who Symphonic Spectacular where Alex Kingston and Mark Williams were hosting (Murray Gold was also present! ), and I had the chance meet both Alex and Mark afterwards. 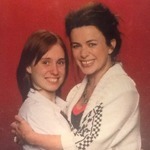 I’ve also since had the chance to meet Eve Myles and Kai Owen! much like nedamarie, I’m only 5’1 as well, so it’s pretty hard to find a perfect character to cosplay! - Sherlock in his sheet. Looking at perhaps doing an Anastasia costume (from the Disney movie), but no real planning there… Just seen an awesome cosplay and felt inspired. No Doctor Who ones currently lined up. I was going to do a fem-10, but made my raggedy Doctor instead… Will see what happens. Box falls out of the sky, man falls out of a box, man eats fish custard! 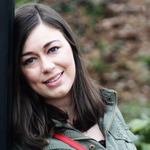 I'm always rubbish at introductions but hey, here goes! I'm Matt and I'm a Tenth Doctor Cosplayer. I've been doing this since late '07 / early '08 and it all started due to a girl in a pub telling me I looked a bit like DT. In addition to cosplay I also co-host a podcast (Journeys in Fandom) and also portrayed Ten in a fan made audio series (I even got to regenerate, which was a weird feeling!). I do a number of events raising money for charity and belong to a few groups (Charity Sci-Fi, Charity Dalek Squad and Exewing Fundraisers). For me I grew up watching DW and my Doctor was Seven. When it came back in 2005 I fell in love with the show all over again. I can be found on Facebook (www.facebook.com/mh10th) and Twitter. I know I shouldn't have favourites, as I'm a teacher an all, but Matt, you're definitely my favourite Ten cosplayer. I love following you on Facebook and I think it's SO cool you've joined this board!!! Our motto is: If you like what we do please tell others, if you don't like it please tell us! I'm Brandon, 29, and currently reside in Northern Lower Michigan (Tip o' the Mitt, if you would), but have lived many places in the States. Sadly, I grew up during the empty times of No Who, though my mum watched Tom Baker and Peter Davison while I was in utero, so I 'blame' that. I only got into the 'verse in the past couple of years, but those years have been wonderous and monumental. I'm an adament fan of Torchwood and NuWho, and am slowly working my way through the wonders of Classic Who and the Big Finish audiodramas (Eight is my 2nd favourite Doctor). If you have't heard them, start, they are worth it. I've been cosplaying for less than a year, but have jumped in head first with my best friend, and am trying to hit as many conventions as I can. I'm primarily a Torchwood Cosplayer (Jack and Ianto; no, not at the same time), but have been working on various Doctor Who costumes as well. Capt. Jack Harkness - DW: "Utopia/Sound of Drums/Last of the Time Lords", & TW: "Out of the Rain"
Ianto Jones - "Captain Jack Harkness"
Jack Harkness- DW: "Empty Child/Doctor Dances", TW:WWI Jack from "Small Worlds"
Ianto Jones: "To the Last Man", "Fragments","Children of Earth"
Besides making Matt-memes while I'm bored at work, I have a blog (which I'm rubbish at updating regularly), and am rebuilding my portfolio to go to grad school in the fall. Oh, and I'm 5'8", so I'm not overly short, and my favourite companion is either Donna Noble, Charlie Pollard, or Jack Harkness.